San Francisco State University Assistant Professor. Connie was a special education teacher K-12 for twelve years in Marin County. While her family was young she stayed home with them until they entered school and then she entered the Philanthropic world. She became the Development Director for Hospice of Contra Costa County and led the Board to create sustainable sources of funding through: an extremely successful Tree of Lights project in 5 communities and expanded marketing efforts that increased the revenues of the Hospice Thrift Store. 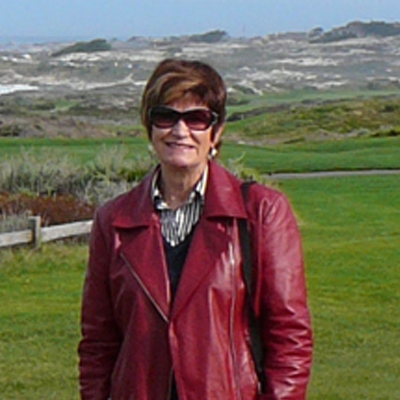 Upon moving with her family to Santa Cruz, Connie joined the Hospice Caring Project as Development Director. One of her favorite funding projects was “Grief Busters” created to benefit all children who experience any kind of loss. Her career continued when she became Development Director of Museum of Art and History in Santa Cruz. Here Connie’s responsibilities were to raise all funding for exhibits, write Federal grants, and expand the membership program. Additionally she created a major gift program, which initiated a planned giving program. Connie has served in leadership positions on volunteer boards raising funds for: Early Childhood Mental Health Program, Peralta Cancer Research Institute, Brookside Hospital Foundation, Watsonville Hospital Foundation, Oakdale Hospital Foundation, and the Oakdale Education Foundation. Connie is passionate about assisting community organizations grow and fulfill their missions and dreams. She and her husband, John, moved to Big Bear Lake in 2016. They are thrilled with the welcoming community and are excited with the many opportunities for involvement.